After spending more than 14 months in Yemen as part of the “Saudi-led coalition” to re-impose the rule of corrupt Western-friendly Abd Rabbuh Mansur Hadi and destroy the Houthi revolution, the United Arab Emirates are announcing their plans to withdraw from the country. While the Saudis and their coalition laughably claim that their campaign is based upon human rights, the reality is that it is based upon the desire to prevent further Iranian influence in the region and the expansion of Shi’ite power. “We are looking at political arrangements and our political role now is to empower the Yemenis in the liberated areas,” he said. Emirati media is now attempting to cover up for the massive failure of UAE operations claiming that the military phase has ended and that it is now merely time for a political phase. 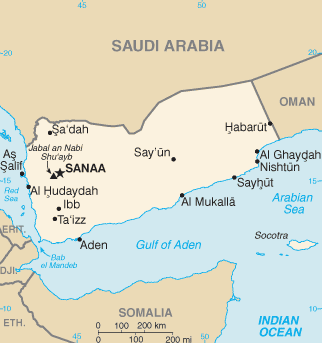 It is unclear whether or not the UAE pullout of Yemen has resulted in any disagreement between the Emiratis and the Saudis. However, the Saudis have recently argued for yet another major push toward Houthi territory so it is clear that, if the UAE does indeed end its military participation in the campaign, the Saudis and the UAE are on very different pages.